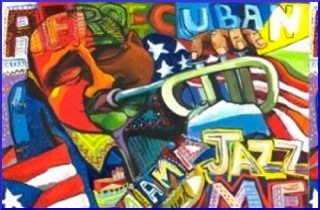 In December 2015 a delegation of musicians, citizens and Asbury Park High School students plan an historic visit to attend the 31st annual Havana International Jazz Festival in Cuba. The group will have the opportunity to visit performing arts venues and educational institutions to observe and participate in joint performances with both artists and school children. The Cultural Exchange Program is the first of its kind to connect the people and communities of The Jersey Shore and Havana, Cuba. The focus is culture, music and education. All three of which are essential elements of a universal language that has the power to build bridges of understanding and cooperation around the world. For many decades, far before many reading this were born, the policy towards Cuba has been one of isolation by the United States. The remainder of the world, including our allies, have engaged in direct diplomacy with Cuba to address and resolve a variety of issues involving international law, human rights and commerce. Similarly, there are several outstanding legal issues that the United States, and in particular New Jersey, has with Cuba. Earlier this year, a new approach in U.S. – Cuba policy was announced. One that is based on direct contact and dialogue between our peoples and communities. The goal of this approach is to begin to build the foundation on which our (current and future) leaders can stand as they work on these important issues which must be addressed as both nations move forward. Ed Johnson, a former Asbury Park mayor who was instrumental in organizing the trip, said the visit will allow The Jersey Shore based delegation to explore the possibilities presented by the restoration of the diplomatic relationship between Cuba and the United States. “It is hoped that based upon a successful visit, that an invitation can be extended for artists from Cuba to visit the Jersey Shore as the continuation of the people-to-people cultural exchange program,” Johnson said. Members of the community are invited to join in support of this historic opportunity to build a future that inspires people and passions in a positive way. There are two ways to become involved: First, become a member of the delegation and join the historic journey Dec. 17 to 22. Visit www.EdjohnsonAP.com for complete program details and trip links. Second, if you can’t join in, support our AP High School students attending the trip by visiting their GoFundMe page at www.gofundme.com/BBFinCuba.